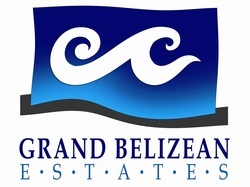 Belize Policies & Procedures - "Our Belize Vacation"
Continue scrolling down, and you will see all the information you need concerning reservation procedures, rates, deposits, payments, changes, cancellations, refunds, applicable government taxes, group reservations, and travel insurance. Go to the drop down menu selections under "Vacation Packages", and review all the different categories. Take a moment to think about what category interests you the most. Vacations in each category, have been designed with an emphasis placed on that category selection. So if scuba diving is your thing, go to the drop down menus under "Vacation Packages", and select scuba diving. Here you will find a selection of vacation packages focusing on scuba diving. If you would like more information about some of the tours, go to the drop down menu selection under "Tours & Adventures" and select tour descriptions. Take time to read through each tour, find the ones that really seem to hit the right spot and match these tours to the vacation package of your choice. At the bottom of each vacation package category, is a submission form. Take a few minutes to complete this questionnaire, and submit this to our office. Once our office receives your receives your submission request, we will look over the information, and match it with any one of the resorts we are currently working with. We will then attempt to contact you with more information and availability concerning your vacation request. Once you have approved all information, we ask for the required reservation deposit, to reserve your vacation dates and provide you with a confirmation number. After your reservation has been confirmed, we highly recommend obtaining travel insurance. You may do this by contacting Travelex Insurance Services. After you have finalized your full payment to Black Orchid, simply get on a plane and come see us. We will be waiting for you here at the San Pedro airstrip, where an ice cold beverage, tropical sun, gentle trade winds, Caribbean music, sand between your toes, awaits you. * All individual room rates are European plan (no meals included), and are listed in United States dollars per night. * Check in time is 3:00 p.m. / Check out time is 11:00 a.m.
* Group reservations consist of (3) rooms or more, with a minimum of (12) people. * Reservation deposits are required once you have approved your reservation. * CHANGES - There is a $35.00 USD change fee required to make any change to an existing reservation. * CANCELLATIONS - Made 90 days or more prior to the date of arrival - Full refund (less 15% for processing & applicable credit card fees). * CANCELLATIONS - Made 90 days or less prior to the date of arrival - No Refund. The rates for each hotel-resort are different, please refer to individual rates sheets, as outlined under the drop down menu "Reservations" and Hotel Rate Sheets. HIGH SEASON RATES APPLY - November 15th to April 30th of each year. LOW SEASON RATES APPLY- May 1st to November 14th of each year. After submitting the questionnaire or vacation request, our office we will attempt to contact you concerning your request, in an attempt to obtain more information and provide you with availability information. If everything meets with your approval, your vacation request will be confirmed and you will be asked to immediately pay the required reservation or minimum night stay deposit (as outlined below) upon confirmation. A credit authorization form will be sent to you (via email), for you,to sign and return to our office. Prompt attention in this matter is required, as it assures that you are able to secure the requested reservation dates. If you have made a reservation through a travel agent, it is your travel agent's responsibility to insure that your deposit and/or full payment have been paid to Black Orchid Management, Ltd. We are not responsible for any losses or cancellations due to non-compliance and non-payment by your travel agent, to confirm and secure your travel arrangements. Your confirmation will indicate the deposit amount required and this is usually paid shortly after your confirmation has been made. Please note, that if your booking is made within the 60 days of the date of your arrival, then full payment will be required at the time the reservation is confirmed. NOTE: If for some reason you need to cancel your reservation 90 days prior to the date of your arrival, a full refund will apply - less 15% to cover processing and applicable credit card fees. All accommodations are subject to 19% Government Hotel Tax and Service Charge that will be added to your total. * We accept Mastercard, Visa, Discover and American Express. number, special reservation notations and the amount to be applied to each reservation. * Reservations are subject to cancellation if payment is not received according to the required time frame prior to your arrival date. FINAL PAYMENT - Full payment is due prior to your arrival date. This differs from resort to resort, depending on the time of year. Your confirmation will indicate the deposit required and when final payment is due. Please note, that if your booking is made within 60 days prior to the date of your arrival, then full payment will be required at the time the reservation is confirmed. * Low & High Season Reservations - Payment is due a full 60 days prior to the date of your arrival. * Peak & Holiday Season Reservations - Payment is due a full 90 days prior to the date of your arrival. * Group Reservations - Payment is due a full 90 days prior to the date of your arrival. All accommodations are subject to 19% Government Hotel Tax and Service Charge that will be added to your total. All other services (i.e. tours, golf cart rentals, excluding air transfers), are inclusive of (GST) Government Sales Tax. If full payment has not been received by our office prior to your arrival, your deposit may be forfeited with no refund and your reservation canceled. For those wishing to pay by credit card, please download the following PDF. Complete the form, sign and return to our office either by fax or by email. We want you to be happy with the accommodations and/or vacation package you have selected, however you may feel the need to change a few things from time to time (such as adding quests, deleting guests, changing dates, room type, or switching your tour preference). Please bear in mind, that changes can be time consuming and costly. We therefore request a modest non-refundable change fee of $35.00 USD for any change made to an existing reservation. PLEASE NOTE: There is not guarantee that we can accommodate your desired change, all changes are subject to availability and existing reservation bookings. To ensure that your change can be made, make your changes as far enough in advance as possible. A refund request must be submitted in writing (emailed) to: black.orchid.reservations@gmail.com, otherwise a credit voucher will be issued to the individual holding the reservation in their name. Credit vouchers expire 12 months from the date they are issued (which means, you may apply your credit voucher amount, to a new reservation anytime during the next 12 months). Credit vouchers are subject to existing pricing & availability at the time your reservation is made. There are no credits or refunds for no shows, late arrivals, early departures or unused portions of amenities. * Cancellation must be received 90 days or more, for a full refund, less 15% to cover processing and applicable credit card fees. * Cancellation is received 90 days or less, no refund. TRAVEL INSURANCE - STRONGLY ADVISED: We strongly advised obtaining Travel Insurance, to cover any unforeseeable circumstances that would prevent you from fulfilling your obligation as regards your reservation prior to your date for arrival. We strongly recommend "trip cancellation insurance" to protect you against airline delays, strikes, political unrest, acts of god, to include hurricanes, medical emergencies, epidemics, travel delays and baggage protection, which are not included in your room rate. We offer a "TRAVELEX" life protection policy. In order to be covered you must purchase at least the full amount of your "per person" cost with us. However, you may purchase additional coverage, by just adding the additional amount to your existing trip cost. It is your responsibility to prove your travel costs over and above the cost of your room and/or vacation package purchased through us. For all your travel insurance needs.